This is Sanford’s Home Turf. We’re committed to the health of everyone in our region, young and old. Rural and urban. This includes giving them the opportunities and the resources to stay healthy. By applying the science of health care to the arena of sports, the Sanford Sports Complex will serve our region in three important ways: Access, Education, and Economic Development. The Sanford Sports Complex is nearly 500 acres that will serve and excite people of all ages and all walks of life. If you can play it… it will be available on this complex! 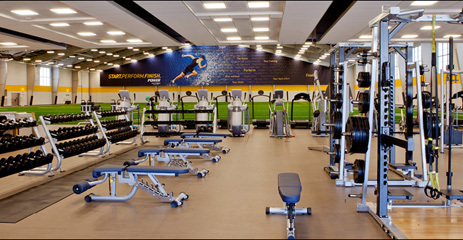 The Sanford FIELDHOUSE contains state-of-the-art training facilities and an indoor sports field, and it is the new home of Sanford POWER. 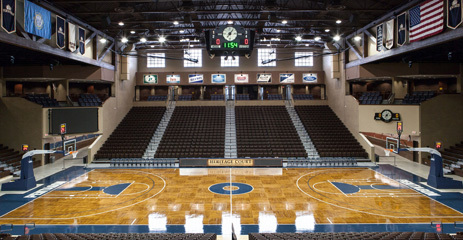 The Pentagon is the cornerstone of the entire Sanford Sports Complex, the home of state, regional, and national sporting events. At Sanford POWER, athletes train stronger and smarter. 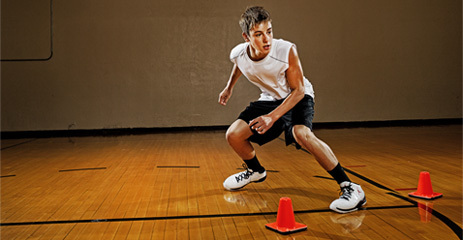 We provide athletes of all ages with the training tools they need to ensure great results and reduce injuries. Sanford SCORE combines innovative sports medicine and sports science to measure athletic readiness, providing data to break new barriers, play safer and achieve goals. ©2019 Sanford Sports Complex / SportsEngine. All Rights Reserved.